Swallow (Hirundo rustica). Taken at Krasno, Croatia, on June 11th 2017. Taken at Krasno, Croatia, on June 11th 2017. 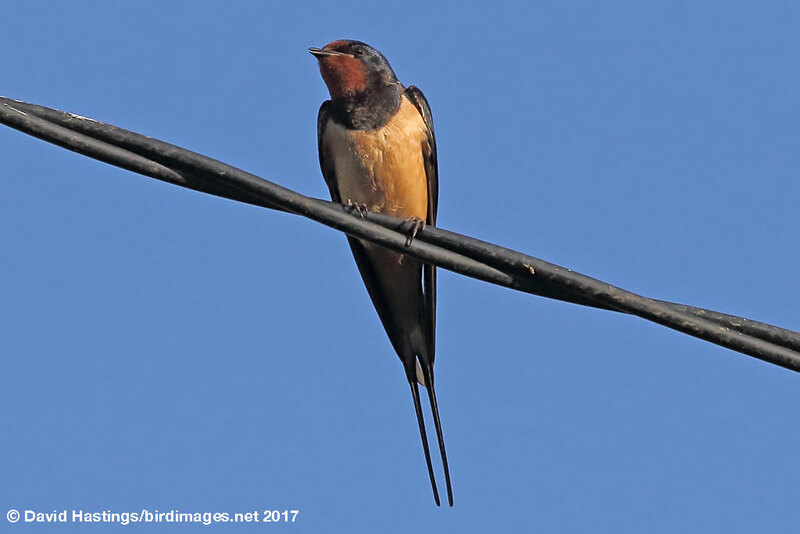 Swallows are small birds with dark glossy blue backs, red throats, pale under parts and long distinctive tail streamers. Swallows are found throughout the British Isles during the spring and summer months. They spend the winter in southern Africa. Nests are built on roof beams or other projections inside barns or other buildings, under bridges, culverts etc. Swallow numbers in the UK have fluctuated over the last 30 years. The species is on the Amber list due to population declines across Europe.